I honestly do not think that my July would be complete without a blueberry experience! We have eight blueberry bushes that are about 5 years old. They produce maybe a pint total right now, which never even make in through the door. The kids “help” with the blueberry bushes, which translates into them eating them straight off the bush. This next winter I believe we are going to go pick up some full grown bushes. We figure they will pay for themselves within a year or two. 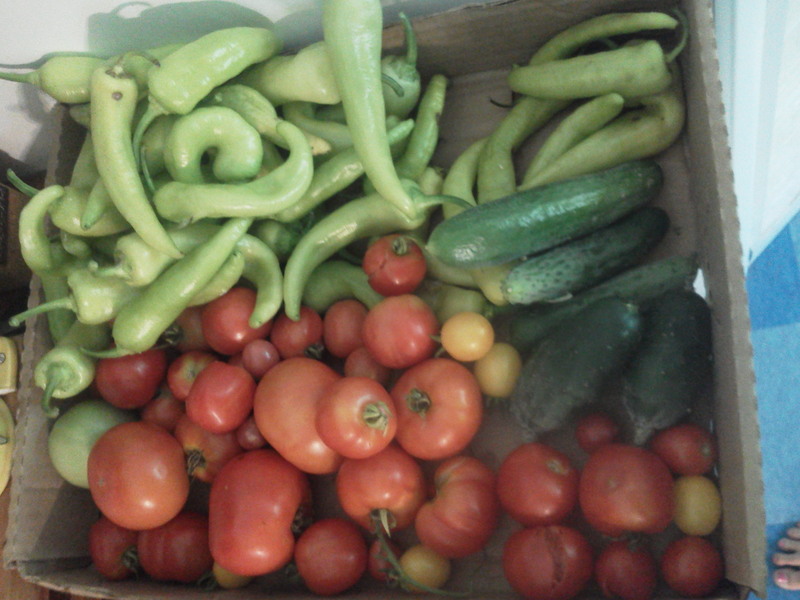 Since we could not pick enough on our property we did the next best thing and go to a local pick your own farm. We picked a little over 5 pounds of berries, which later that night became 1 gluten-free blueberry pie and nine 4oz jars of blueberry preserves. I processed them in a water bath canner for 10 minutes. It turned out wonderfully. 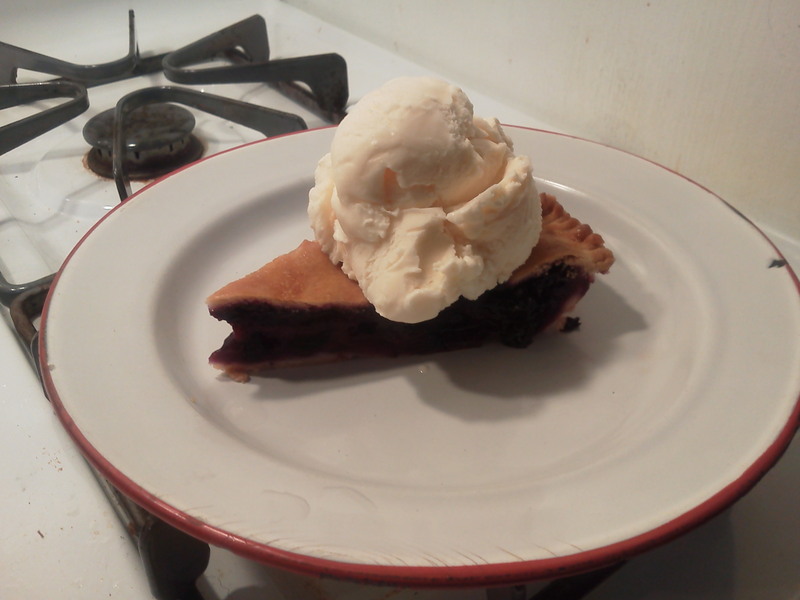 It was thick and sweet, but still had the tartness on the back of the tongue that I love about blueberries. Mix all the dry ingredients in a bowl and grate the butter on top. Slowly mix together, then add the water. Mix it as little as possible. Separate into two balls and put in the fridge until you are ready for it. Roll out one ball of pie crust, put it in a pie pan sprayed with cooking spray. Add the blueberry filling and then roll out the other crust and top. Cut slits in the top. Place pie pan on top of cookie sheet with sides. (The pie will boil over, I have only managed to not do that once!) Bake for 60 minutes or until crust starts to turn golden brown. Egg wash the top with a mix of 1 egg beaten, and tbs sugar. Bake about another 10 minutes. Allow to cool completely then serve. It should set up wonderfully and not be too runny. Enjoy your blueberries and let me know how everything turns out. I would love to hear how it worked in your kitchen. Oh blogging how I have missed you. I am not even going to try and explain where I have been for the past year, just know I am happy to be back! So summer is in full swing. 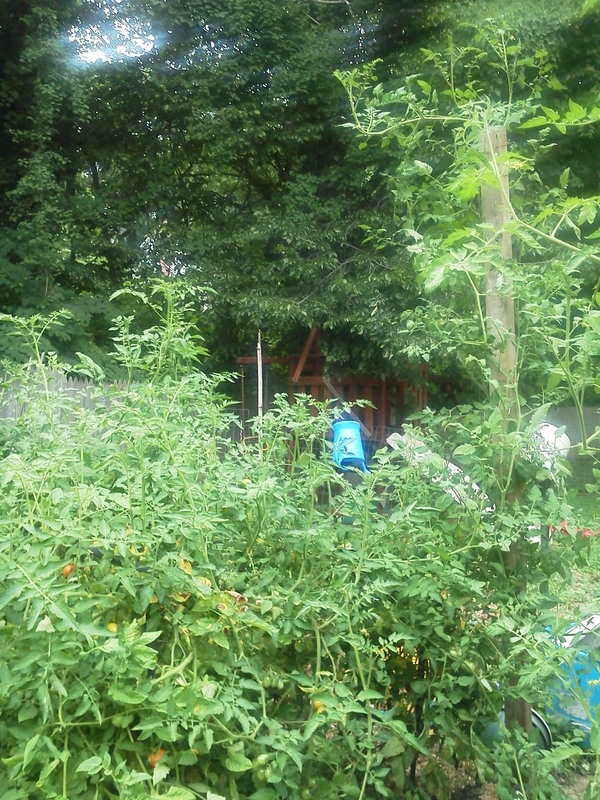 Our garden is growing wonderfully. 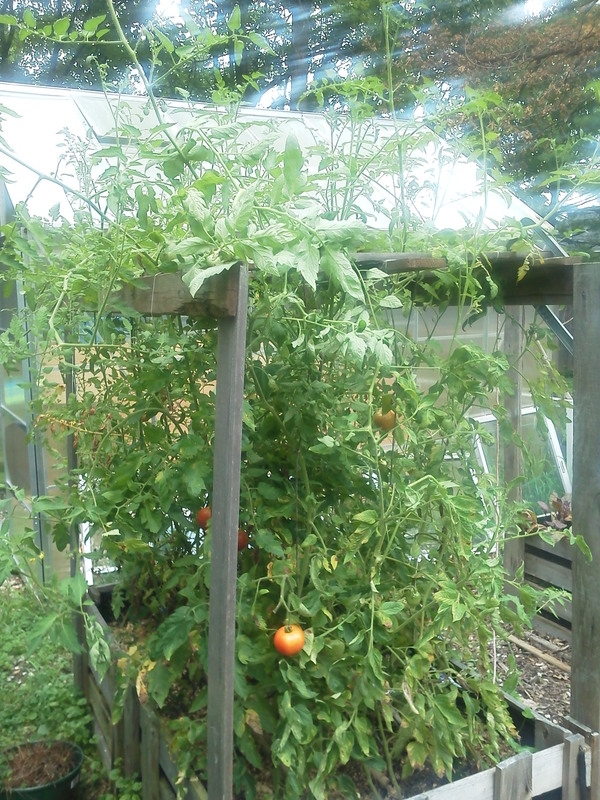 We get a basket of tomatoes, peppers and cucumbers every day. 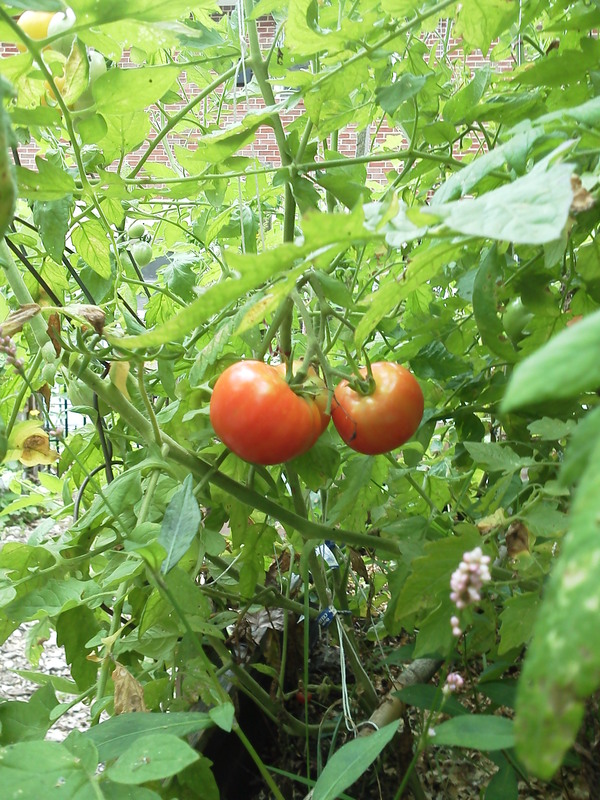 We have already harvested one planting of potatoes, our spring peas, green beans, soy beans, and blue berries. We have more peas, carrots, cantaloupes, butternut squash, pumpkins, garlic and beets that are still growing. We started with a new batch of a dozen chickens this spring and they have started laying. We get about 10 eggs a day. We have three new rabbits, American Chinchillas to be specific, that we added to the farm this winter and they have 15 very cute baby bunnies that are 4 weeks old now. We will be selling them in 2 weeks. OK now that everyone is up to date… On to Spa Day at our small farm. 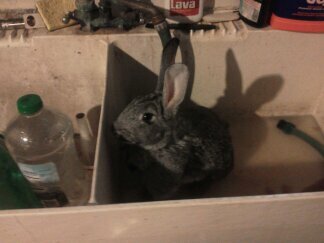 We had a mamma rabbit that had some fur matting that need to be cleaned. It was very warm this weekend so we thought that a bath would help clean her fur as well as cool her down. Not ever having given a rabbit a bath, I was not really sure how this would go. I expected clawing, biting and that it would look more like bathing a cat. I however, was greatly surprised. The rabbit seemed to enjoy the bath. She did not try and get out of the utility sink, she did not try to climb my arm. She was just happy to just sit there. At first I just assumed it was because this was my very easy going rabbit, but when I then bathed the “jumpy” rabbit she was quit content to just be bathed as well. I think that this is something we will do after all their litters are old enough for us to be messing with mamas. The reason we had to bath mama in the first place was left over afterbirth. She was having some hair matting and skin breakdown. We bathed her using mild soap, clipped the mats and applied A and D ointment to the skin. We did not use soap on the rabbit that did not have any matting, we just used the water to clean her up and cool her down. Since this did not seem stressful to the rabbits, I think that we will do it again to help keep those hard to reach places nice and clean. 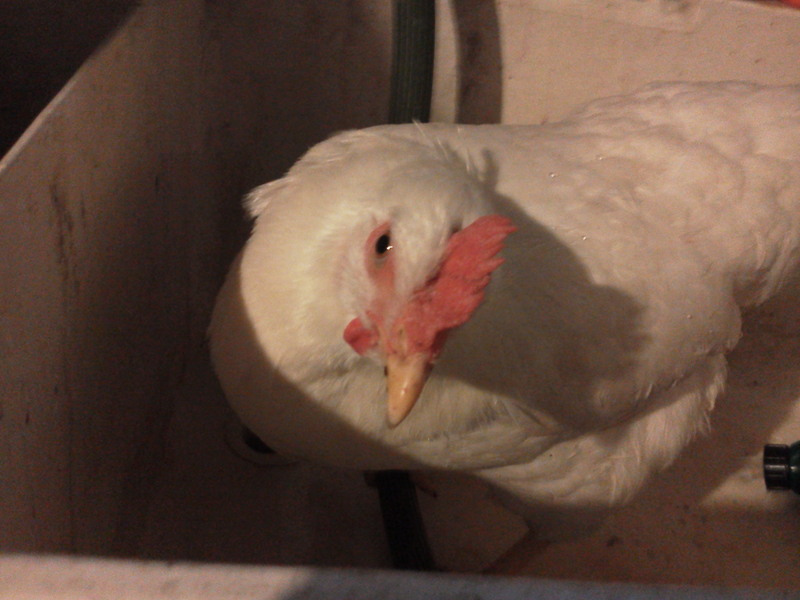 Since it was deemed a “Spa Day” we did not want to leave anyone out, we also bathed a chicken. We have two chicken coops that share the same outside area. The coops are made to fit 6 chickens a piece very comfortably. Our chickens are “special” and they have decided to cram all together in one small coop. There is just not the roosting space that they need, so there is one chicken that has taken to roasting right under the other chickens. I noticed that she was “dirtier” than the others, especially on her belly, since she spent all night sitting in other chickens poop! So we brought her inside and rinsed her off as well. Again I would have expected a very upset chicken. She was totally O.K. with it. She seemed to enjoy the one-on-one attention and the wash down. Who knew? So, now everyone is clean, toe nails clipped, bottoms washed and cages cleaned. It was a wonderful day on the farm! Here are some pictures of the bath experience!